Hammer Throw Ball is available with us! 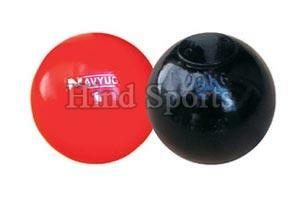 We are counted among the top Manufacturers, Exporters and Suppliers of Hammer Throw Ball. The manufacturing of our Hammer Throw Ball is done under the strict vigilance of experts. Prior to its final dispatch, we conduct stringent quality tests on Hammer Throw Ball so as to ensure that only the defect-free product reaches the customersâ�� end. It can be obtained from us at the best market price.